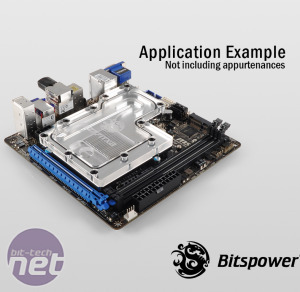 Bitspower has released it's latest mini-ITX full cover waterblock, the MIZ77ITXA, which is compatible with the MSI Z77IA-E53 motherboard. The waterblock features a single G1/4in thread inlet and outlet and a large contact plate that appears to cool not just the CPU but the VRMs and chipset too. Our review of the company's first such waterblock, for Asus' P8Z77-I Deluxe mini-ITX motherboard, showed that it was fairly easy to install but doesn't quite cool as well as a dedicated CPU waterblock. 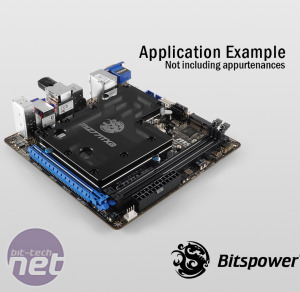 However, given the tight confines of many mini-ITX cases, the extra cooling for the chipset and VRMs could be very beneficial. 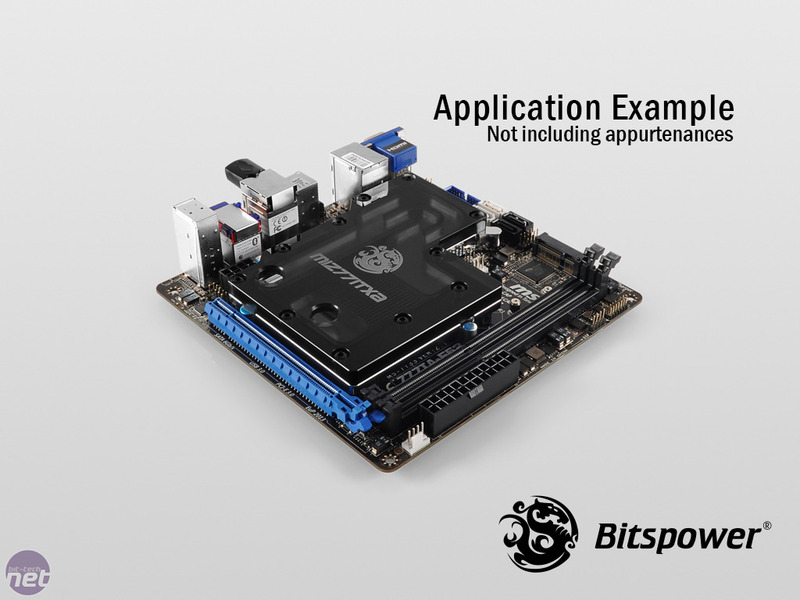 The release of the MIZ77ITXA is the first non-Asus mini-ITX motherboard waterblock the company has released, so there are now hopes that the latest Z87 motherboards from MSI, Gigabyte and ASRock might get the water-cooling treatment too. Design For MSI Z77IA-E53 (Intel Z77). North + South CHIPSET ONE Piece Design With MOS Block. Cover Almost All Heat Area. Block TOP Cover Made Of Hi-Quality Acrylic. Block Base Made Of Hi-Quality Copper. Block Base High Durability Nickel Finished In Silver. ( LxWxH ) : 105.5x133.85x19.9 (Out-Line). Arctic Matrix 2.5G X 1PCS. Backup O-Ring For MIZ77ITXA x 1Set. Mounting Screws/Accessories - EZ-STAND OFF Mounting Ready. Will you be buying the MIZ77ITXA? 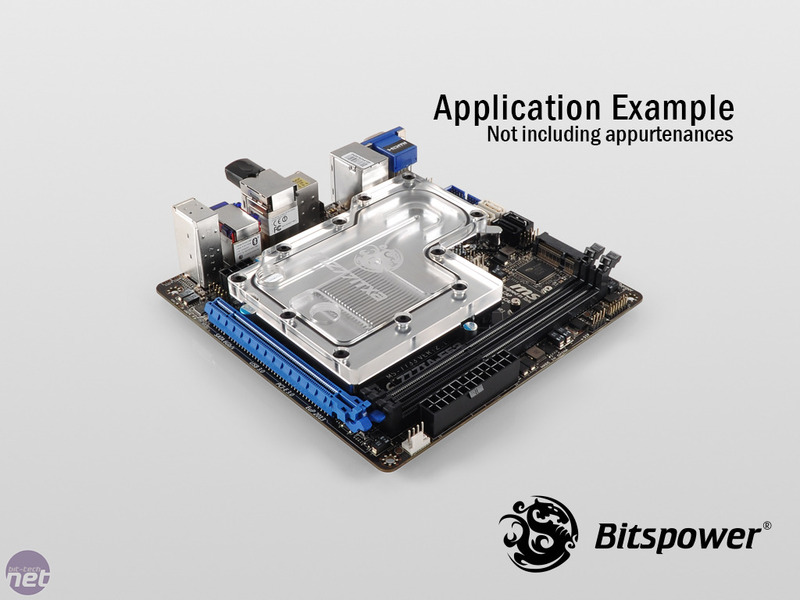 Which mini-ITX motherboard do you want to see a waterblock for? Let us know in the forum.